It’s not the first time I’ve written about non-alcoholic beer before. Hell, it’s not even the first time I’ve written about Toronto-based Province Brands and their cannabis beverages. But with Canadian legalization looming right around the corner (the current target is mid October), Province Brands has officially announced that it will be launching a cannabis-infused beer (for those German beer purists among you that crave grain in your stein) to complement their cannabis-brewed beer. This beer will be brewed like any other conventional beer (albeit non-alcoholic) and then infused with oil supplied by partner Element GP, a producer of up-scale cannabis products. 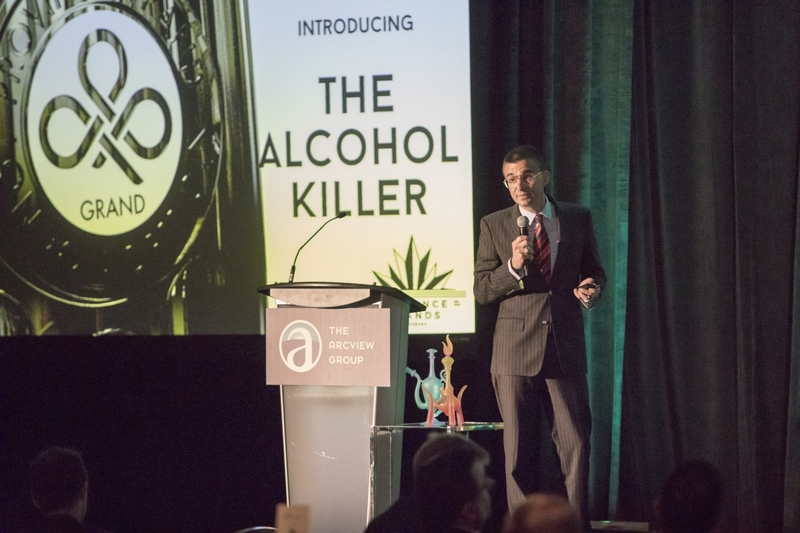 “With our combined technologies and expertise in the cannabis and beverage marketplaces, this will be a very powerful and complementary alliance within the international cannabis industry,” said Christopher Lecky, Co-Founder and COO of Element GP. I had the chance to speak with Dooma Wendscuh, CEO and Co-Founder of Province Brands, on the phone and ask some more about the nitty-gritty of his new product. If you’ve ever had the chance to consume cannabis as an edible (or drinkable) you might recall some terribly potent effects. A long, intense body high is not uncommon. 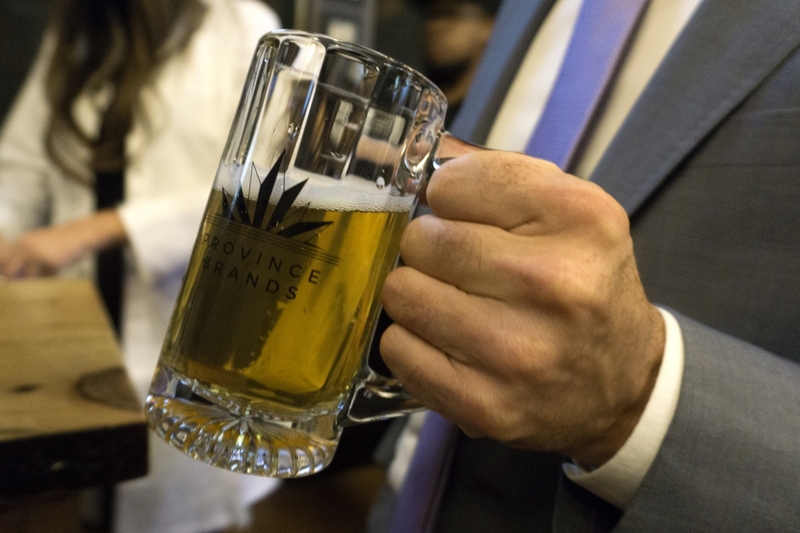 But Province has made a commitment for a cannabis-centered beverage that mimics the potency and duration of conventional alcoholic beer. But every beer fan knows it’s about more than just the buzz. The taste is even more important than the intoxication. 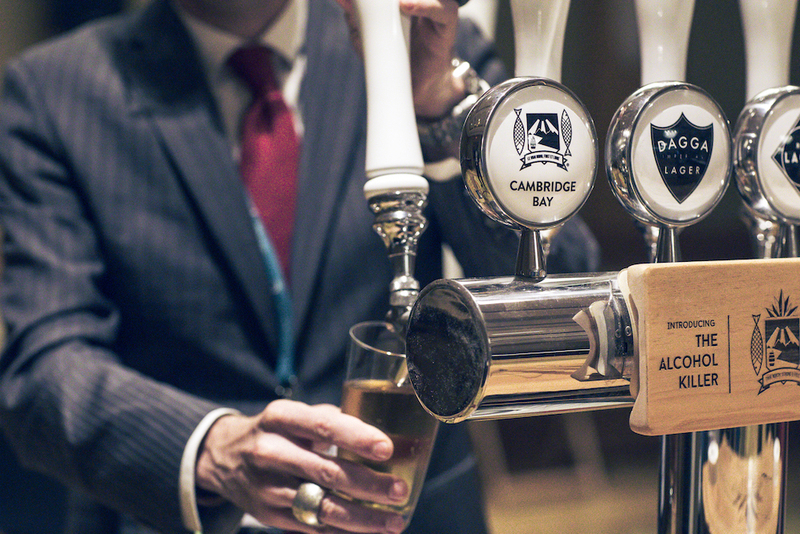 Where Province’s cannabis-brewed product will be a departure from traditional beer taste, their barley-brewed version will be a lot more familiar. But the infusion of cannabis oil does pose its challenges. Wendschuh told me that a lot of these deleterious flavours can be masked by brewing a potently hoppy beer. And it wouldn’t be out of character at all for an up-and-coming brewery to launch with a flagship IPA. But that’s not the direction Province Brands is interested in heading — at least not yet. Like all other companies, Province is waiting with bated breath until marijuana legalization hits Canada. For the cannabis connoisseurs, their flagship beer that eschews grain for weed will be an enticing offering. And for those who’d like something a little more familiar, their barley-based, cannabis-infused beers will certainly warrant a slow sip or two — if you’re into that kind of thing. Dooma Wendschuh, CEO of Province Brands, speaking at an event.